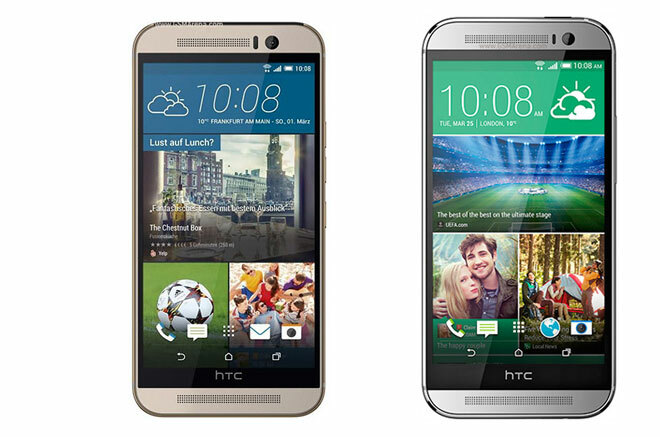 The HTC One M9 is finally official and we’re experiencing a déjà vu. 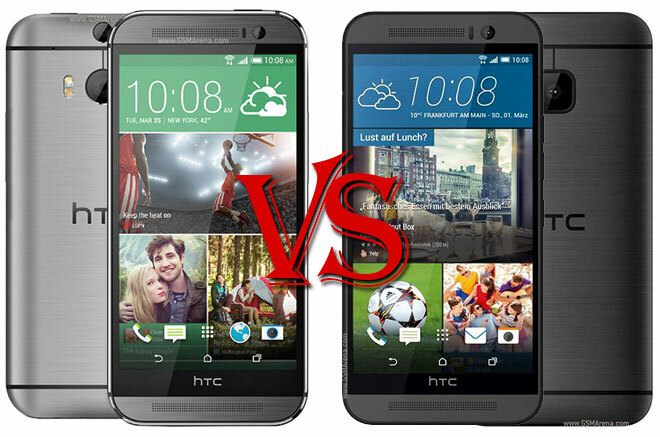 Didn’t the HTC One (M8) look exactly the same? Alright, they are not quite the same, but you have to look very, very closely to see the subtle differences. Still, here’s a direct comparison, which should give you a perspective on whether the new stuff under the hood is enough of a reason for you to upgrade. Before we discuss the changes on the inside, let’s go briefly on the exterior. The HTC One M9 is just a tad more compact than its predecessor and weighs 3 grams less. The differences aren’t really noticeable, but the build has been altered slightly. HTC says they’ve addressed the issue of handling that some people had by making the front a bit more protrusive, which creates an edge. This ought to help with handling a bit. The back design is changed, too, as the UltraPixel camera setup is gone in favor of a 20.7MP snapper. It sports a large cutout for the glass joined by the dual-tone LED flash. The front of the phone remains more or less the same with the dual-stereo speakers and 5.0″ 1080p display unchanged from before. It worth noting that the stereo speakers on the One M9 are enhanced by Dolby Digital software and we can’t wait to compare them with the One (M8)’s in the comfort of our labs. Anyway, under the hood, everything is brand new with a Snapdragon 810 chipset with an 64-bit octa-core CPU and 3GB of RAM. It runs Android 5.0.1 Lollipop with Sense 7 UI garnished on top. The battery is also bumped from 2,600mAh on the One (M8) to 2,840mAh on the One M9. Here are the rest of the specification comparison. 1080p@60fps, 720p@120fps, HDR, stereo sound rec. In the end, since both devices are running the latest version of Android 5.0 Lollipop, there’s not much big of a difference between the performance that Snapdragon 810 and Snapdragon 801 provide in general usage. However, the new 20.7MP camera, larger battery and new snazzy color schemes of the One M9 might be enough of a reason for you to splurge out and grab the hot new version of HTC’s flagship.